Fascinated by the buildings which surround them, little people with big imaginations and big building dreams will love to get their hands on a pint-sized drafting set. From Tree Hopper Toys comes the First Draft Drafting Set, perfect for kids who love to tinker with pencil and paper. 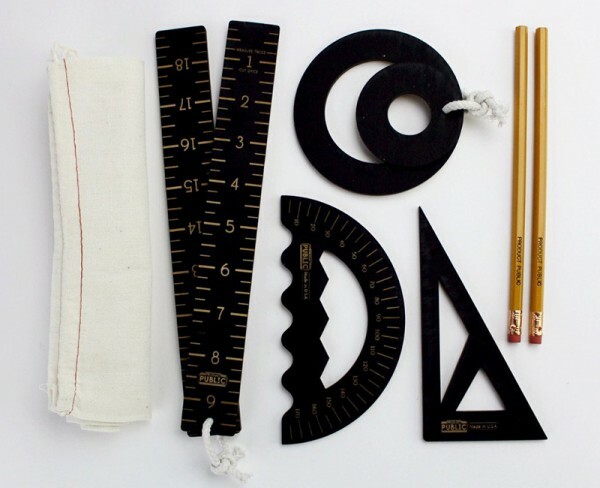 A set including a waved protractor, folding ruler, triangle, circles, pencils and pencil sharpener – all housed in a drawstring bag for safe storage and drafting on the go. An excellent toy for nurturing a creative mind, you can buy the First Draft Drafting Set direct from Tree Hopper Toys, priced US$20.